Walter Johnson Football gets first win! 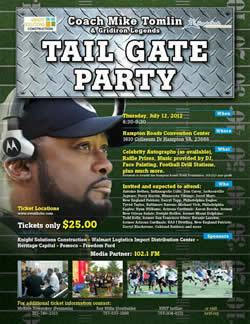 Coach Mike Tomlin & Gridiron Legends TAIL GATE PART organized on Thursday, July 12, 2012 at Hamton Roads Convention Center. Upper Versus Lower Mouthguards: What’s the Difference?